Today, we recognize the value of wetlands, even celebrate them with observances like American Wetlands Month in May, and the need to conserve them. 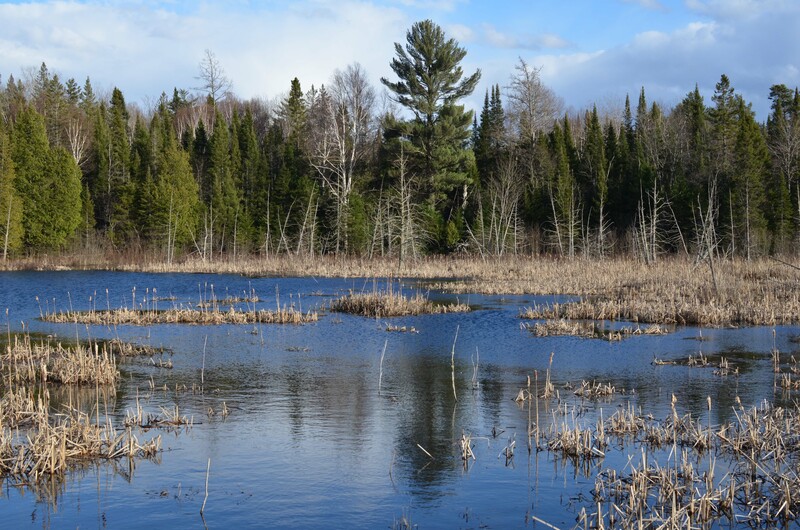 Michigan law defines a wetland as "land characterized by the presence of water at a frequency and duration sufficient to support, and that under normal circumstances does support, wetland vegetation or aquatic life, and is commonly referred to as a bog, swamp, or marsh." This includes waterfowl hunting – Michigan regularly ranks in the top three states for Canada goose harvest and hunters in the nation, and in the top 10 for average annual sales of federal duck stamps – and a variety of other outdoor pursuits. Take, for example, Michigan's Wetland Wonders, the seven premier managed waterfowl hunt areas in the state, scattered across the southern Lower Peninsula. To learn more about Michigan wetlands, visit michigan.gov/wetlands. Check out previous Showcasing the DNR stories and subscribe to upcoming articles at www.michigan.gov/dnrstories. Contact: John Pepin 906-226-1352. Accompanying photos are available below for download and media use. Suggested captions follow. Credit: Michigan Department of Natural Resources, unless otherwise noted. 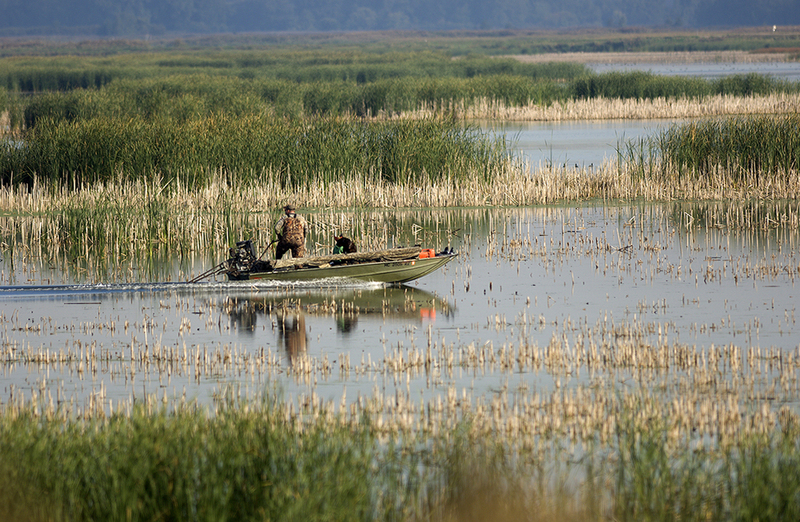 Boat: Pointe Mouillee State Game Area, on the western shores of Lake Erie, is one of Michigan’s seven Wetland Wonders – premier managed waterfowl hunt areas scattered across the southern Lower Peninsula. Bog: Matting vegetation around the edge of a bog, like this one in Dickinson County, will eventually cover the water surface. 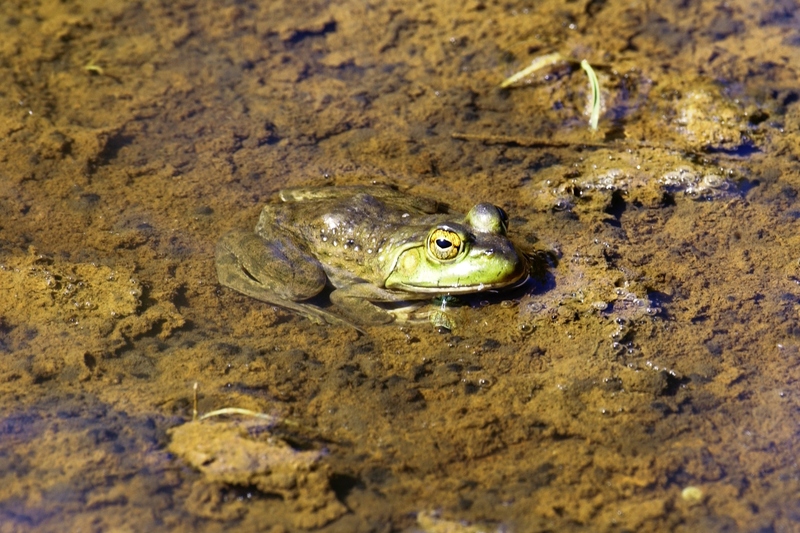 Bullfrog: Every amphibian in Michigan – including the state’s largest frog, the bullfrog – uses wetlands. 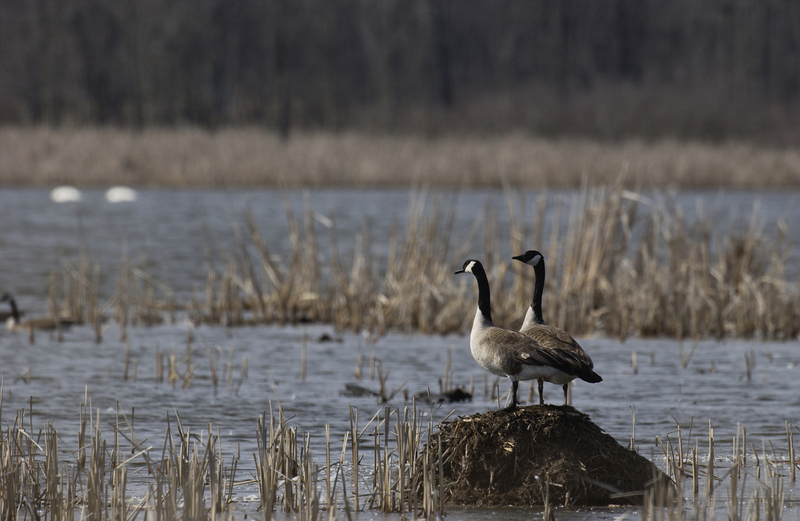 Geese: Michigan regularly ranks in the top three states for Canada goose harvest and hunters in the nation. 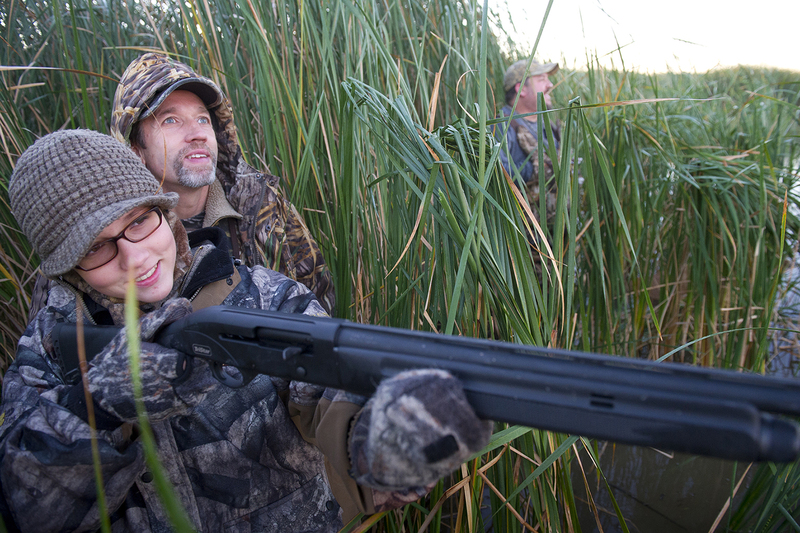 The sport, and other outdoor recreation pursuits, requires healthy wetland habitat. Hunters: Waterfowl hunting trips, which take place largely in wetland areas, generate $22 million each year in Michigan. 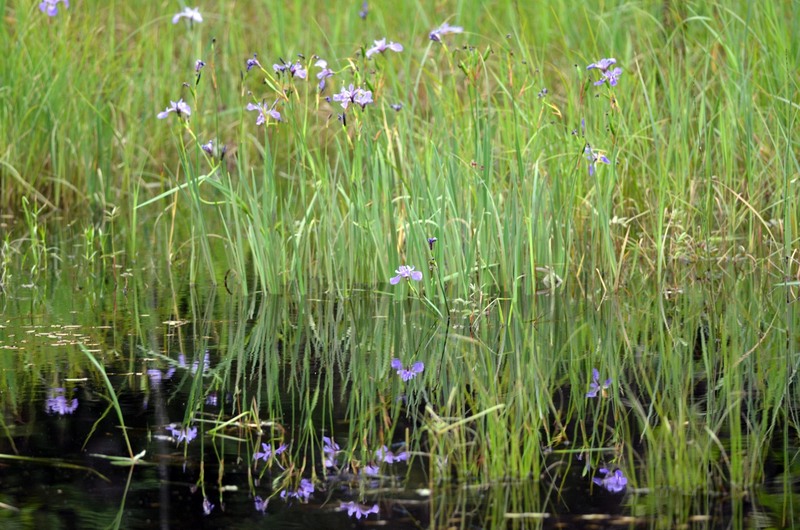 Iris: Wild irises are one of many Michigan wetland plant species. Mallards: Mallards are year-round residents of Crow Island State Game Area in Saginaw, one of Michigan’s finest wetlands. 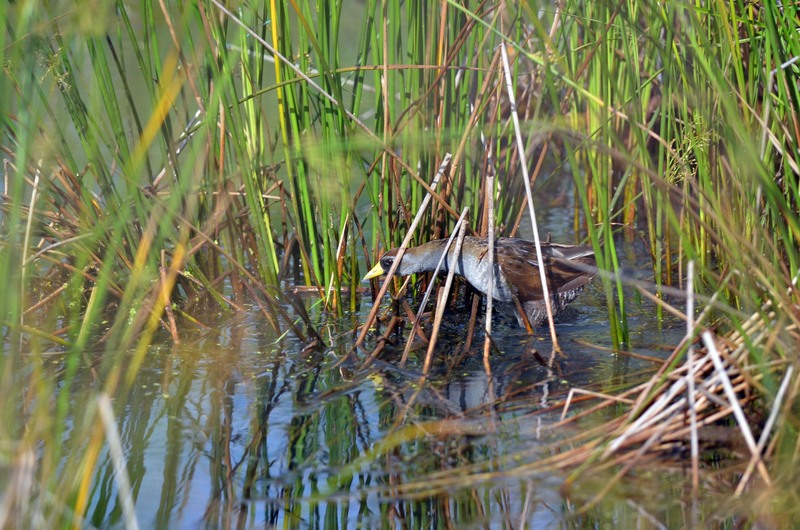 Sora: Home to a wide variety of birds, including the secretive sora, Michigan’s wetlands make great wildlife viewing destinations. 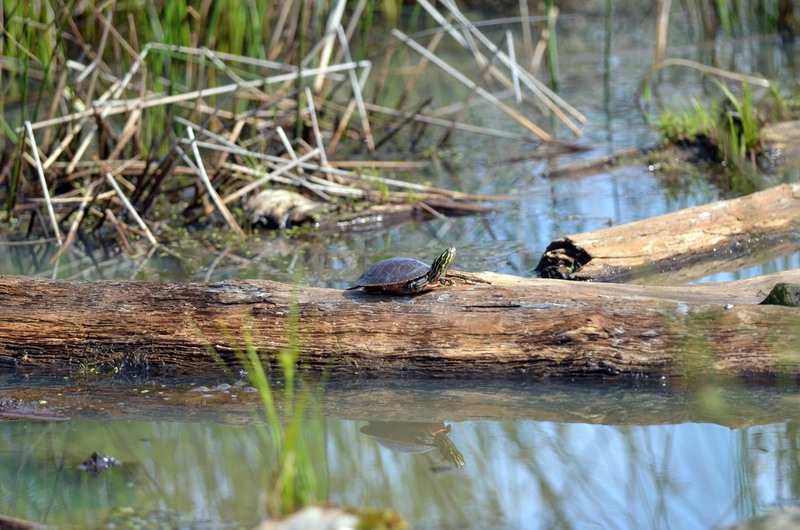 Turtle: Wetlands are home to painted turtles, one of Michigan’s most common turtle species. 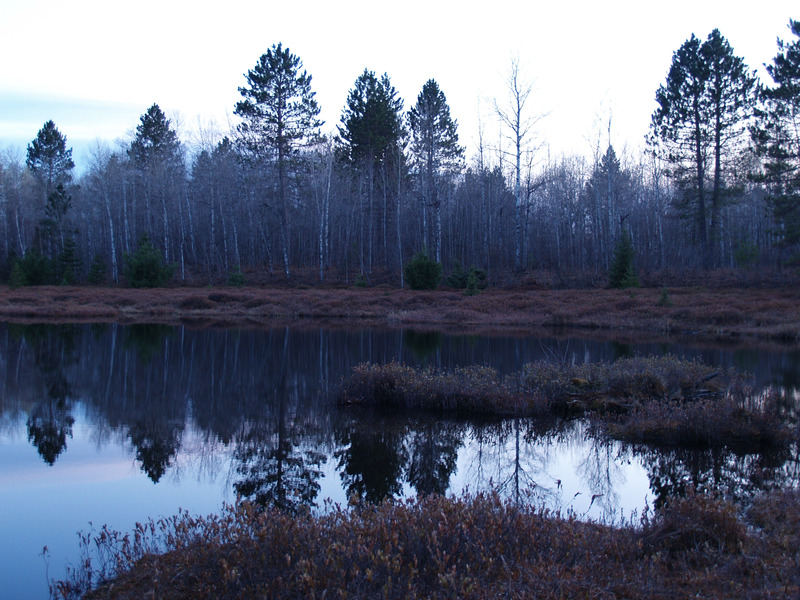 Wetland: More than 50 percent of Michigan’s wetlands, like this one in Marquette County – now recognized for their importance to wildlife, people, the environment and the economy – have been lost over the last two centuries. 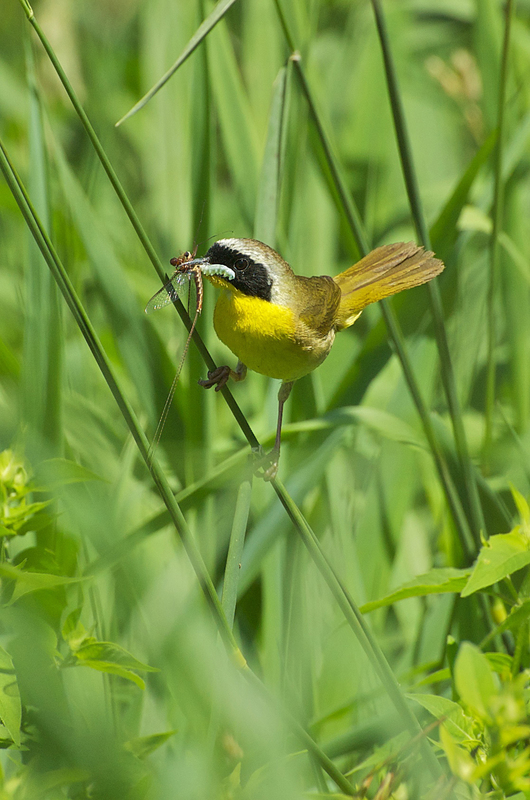 Yellowthroat: Half of Michigan’s bird species, like the common yellowthroat, rely on wetlands.